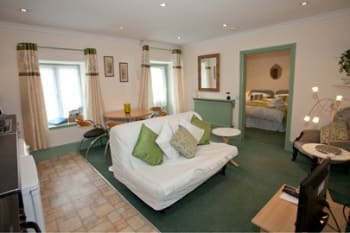 Comfy well equipped cottage adjacent to our coach house conversion, by a babbling brook in the beautiful village of Newland in the Royal Forest of Dean and on the edge of the Wye Valley Area of Outstanding Natural Beauty.The Ostrich Inn, serving food and real ales a 5 minutes' walk. All accommodation is on the ground floor. Double/twin bedroom with en suite shower room. Living room with comfy seating, including bed settee, TV/DVD, dining table and kitchenette. Walking from the cottage, with the Wye Valley Walk only two miles away. There are no rooms available at The Rookery Cottage for these dates. Very clean and well equipped cottage. Couldn't fault it. Returned again to Rookery Cottage. No doubt will be back in the future. Found cottage a bit cool during this stay. Shop on way. No shops in village. Meals in local pub are pricey. I am sorry you found the cottage cool. I think the previous guests turned the radiators down! They are now back up to full heat! Would be delighted to welcome you back again. We really enjoyed our stay and would like to thank you for all the treats that you left for us, very thoughtful. We thought that you providing equipment like torches was particularly useful. We would like to stay at the Rookery cottage again in future. Thank you. We found that the Rookery was ideally located for various local attractions such as, Symonds Yat, Offa's dyke footpath, and various Forest of Dean walks, all within a few miles radius, for easy accessibility. Thank you for your review and would be delighted to welcome yo back again! We will be back sometime next year. A visit to Clearwell Caves is a must. Learnt all about the Dean Free Miners, really interesting. Tintern is still as beautiful but the diversion signs to get there could be clearer. What a great location! We are not walkers so cannot comment on that aspect but for a base to see the Forest of Dean, Wye Valley, Brecon Beacons etc. this place proved ideal. Julie has equipped the place with thought and we found everything for our self-catering stay. The only down side, for us, was the bed - we found it uncomfortable. We didn't eat 'locally' so have no idea how the food is. Ruddy's fish and chips in Lydney were probably the best we have ever had! Want somewhere a little quaint to eat? Try Nori's - 3 Church Street, Leominster (https://www.noriscafe.uk/). We were very lucky with the weather in late September so everywhere was wonderful! I am so sorry that you found the bed uncomfortable - please let me know what it was that made it so (too hard too soft?) as this is the first compliant/negative comment I have received on the bed since I started doing holiday lets in 2006 so would be happy to try and sort it out. Other than that I am so pleased that you had an enjoyable stay. Perfect central location to explore the Wye Valley and Forest of Dean. Lovely little cottage in a quiet and picturesque village. We visited: Forest of Dean cycle trails, Clearwell Caves, Puzzlewood, Simonds Yat viewpoint, Canoe the Wye (Symonds Yat), Chepstow Zipwire, Monmouth town, Tintern Abbey, Goodrich Castle and Ross on Wye. Great stay at the Rookery cottage, lovely location and cottage. Loved having the key code system to let ourselves in as This took the stress of arrival time away. Booking online was simple and efficient. The extremely comfortable sun lounge chairs were a wonderful surprise and very welcome as was the privacy of the rear courtyard. We had been a little unsure about beds pushed together instead of a double but it was done almost seamlessly. The shower was lovely & kitchen area well presented. Everything you need and more for your stay. Recommended to all friends. Comfortable, well equipped cottage in attractive location. Great little cottage on the edge of the forest. Nice pub close by. Easy access to towns and the forest. Welcoming host. Well equipped cotttage. Easy reach of Forest attractions and the Wye Valley. 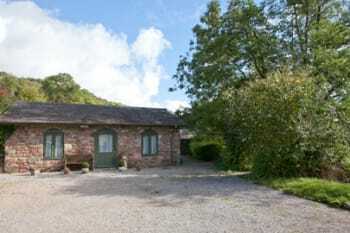 A lovely cottage, in an excellent location for exploring the Forest of Dean and the south of Wales. The cottage and its facilities were great, and the added extras were a nice touch. The general cleanliness of the cottage was good, but to improve it, some deeper cleaning of some areas of the kitchen and the shower, would be good. Overall we had a lovely break in the cottage. The butchers arms serves great food, and is about 3 minutes drive away. There are plenty of lovely walks nearby and some great caves and mines to visit for some insight into free mining in the Forest of Dean. This is a small but comfortable cottage in the heart of the Forest of Dean. The owners house is adjacent should you need anything but there is no intrusion and there is a private back yard which is not overlooked. The accommodation is quite sufficient for two and as a base for exploring the area the cottage works well. Given the very reasonable letting fee we certainly had no complaints! Newland is a very small village with no shop so come prepared with essentials. The village pub The Ostrich is outstanding for food and real ales and has the advantage of being in the village centre so only a short wobble home! The Forest of Dean has some stunning scenery as well as attractions for children and small towns worth a visit. The rivers Severn and Wye have wonderful views. Take the SatNav though. Signposting is erratic at best and often downright misleading!! Fantastic location, lovely and peaceful, gorgeous cottage, the bed was really comfortable. Everything you could need was there. Nice touch with the chocolates, shortbread and milk. Would definitely stay again. The local pub The Ostrich does lovely meals. Symonds Yat is nearby as is Puzzlewood, both worth and visit and of course the Forest of Dean. A very good cottage in a lovely area. 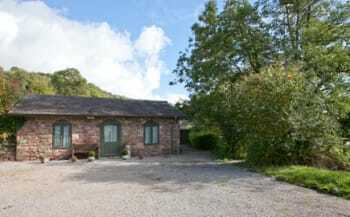 Lovely little cottage right in the heart of everything for the Forest of Dean. It was perfect for a couple wanting to explore the Forest and all the local towns/villages. It is worth booking at several of the pubs, just in case. They can be surprisingly busy even when its midweek. There is a new tourist office in Coleford with helpful staff and information including A5 Coleford Town Guide Do wander round Newland village and visit the church. We thought The Ostrich in Newland was a bit expensive and had a limited menu especially for vegetarians. The Speech House, Coleford, is consistently good and has vegetarian options. Booking advised as it is a small restaurant. Delightful cottage. Has all facilities we needed and very homely vibe with great views. Good for peace and quiet. Only the one pub in close proximity, which unfortunately we didn't have time to visit.But pretty, well manicured village with interesting history. Several walks from house, but make sure you have a compass and map. Cokeford only a few minutes drive away and the river Wye walkable with boots on. 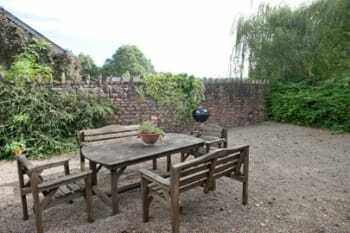 Lovely converted stable, highly suitable for a couple. Very well equipped. Friendly helpful owner. A car is needed to get around as position is rural. The Ostrich pub 5 minutes walk away serves lovely food. The local church is worth a visit. Symonds Yat, The Sculpture Trail and all The Forest of Dean tourist attractions are within easy reach by car. The Rookery Cottage is comfortable, clean and exactly like the photos on the website. The kitchen is incredibly well equipped for a holiday rental and has everything one would need to cook a full dinner. There is a full-sized cooker, microwave and washing machines. 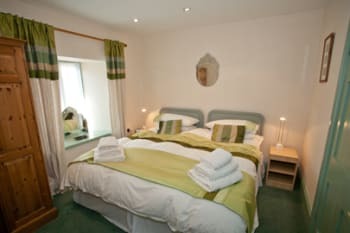 The bed is incredibly comfy with nice linen and lots of clean fluffy towels supplied. There is a small TV with free view box, Wi-Fi and even a DVD player (we didn't try that). The location is very quiet and very pretty surroundings. Julie (the landlady) is very pleasant and helpful, she really has thought of everything when settling up the Cottage including providing lots of maps, information leaflets, guide books etc. Overall very satisfied with the experience and would definitely stay here again. There is a pub called the Ostrich about 5 minutes walk away - they serve dinner in the evening. We tried it once and cooked at the cottage the following night. The closest 'big' town where to buy food supplies is Coleford which is about 10 drive away. There are loads of things to do and see in the area, our favourites were Puzzlewood and a bit further afield is Tintern Abbey. The cottage was very comfortable and provided all of the facilities we needed. There was central heating (which proved useful for drying wet clothes) plenty of parking and a small private area outdoors. The cottage is located at the bottom of a hill so does require a little effort to walk to the pub but nothing to put anyone off. A very quiet location, ideal for a relaxing break but you do need to travel a short distance into Coleford for your consumables. We went to the Ostrich Inn a couple of times and the food was good without being exceptional. We had a good Sunday roast with a friendly welcome in the Angel Hotel in Coleford. For a larger town Monmouth has most of the things that you would need including pubs, restaurants and supermarkets. We had an absolutely wonderful stay at Rookery cottage. Our party consisted of 3 boys ages 4 and 5 and two mums making the most of the half term. The location and close proximity to everything in the area meant we were permanently busy! We had a wonderful meal at the Ostrich - a short walk away. Lovely location and appreciated the milk and chocolates. The cottage was perfect for two people. It was in a great location to get to many of the attractions of the Forest of Dean. We enjoyed Puzzlewood, Clearwell Caves, The Sculpture trail and the railway all of which were very close to the cottage. Comfortable and peaceful stay , the cottage is near all the small towns ie: Chepstow, Lydney and Coleford plus Ross 0n Wye and Monmouth , and for those who like walking the area is perfect with plenty of guides and maps at the cottage. We really enjoyed our stay at Rookery Cottage. We found the accommodation extremely cosy and comfortably and very well fitted out to cover every possible requirement. Julie Pritchard was an excellent hostess and very helpful both before and during our stay. Though the cottage has copious amounts of maps and other information on local walks, we asked for Julie's assistance and she suggested this truly lovely walk towards Penallt and Redbrook. These two locations both have excellent pubs serving wonderful and so we did this lovely circular walk and the came back to the Ostrich pub up the road from the cottage. Perfect cottage for two in a good location for walks in the Forest of Dean and Wye Valley. The owner was very helpful and it was useful having some milk provided to start us off. Lovely little cottage - had everything you need. Julie was very friendly and we really appreciated the welcome pack. The Ostrich pub in the village is a very friendly place and serves good food. Puzzlewood is nearby which is well worth a visit. We did the Go Ape segway experience which was good fun. Reasonable access to places in the Forest, generally have to drive to get to them unless you are particularly fit. The Ostrich Inn provides excellent meals but they do get busy so if you don't want to take a chance of a seat you need to book a place in the restaurant. We enjoyed a wonderful weeks holiday in the F o D and Wye Valley. Everything we could wish for was provided including unseasonably good weather. Thanks Julie for allowing us to stay in your lovely picturesque cottage. We did lots of things during our stay but particularly enjoyed our visits to Clearwell Caves and the Nelson Museum in Monmouth. Nice bungalow in a nice location, babbling brook, nice pub in village, and Cathedral in the forest, steep walk up for us oaps. The Ostrich pub and cathedral in the forest in the village. plenty of things to do locally and a lot of walks in the forest. lot of nice pubs,but some have a service charge. Lovely cottage ideal if you are after a peaceful and quiet break. Cottage is clean and well equipped with everything that you need. Excellent communication with the owner during the booking process and lots of information about the local area was available. Nice touch to have milk etc available on arrival and to have accessible wifi.Overall a very enjoyable few days, thank you. The Ostrich Inn just up the road served us a lovely meal and is a really nice old fashioned pub. Local pub the Ostrich is less than 5 minutes away serving great beer, and one of the best Steak and Ale Pies I've ever had. The cottage is compact but contains all that is needed whilst away from home. TV reception is intermittent due to location and surrounding foliage but why not settle down with a good book instead as we did? The local pub serves good meals but surrounding towns and villages have a range of eating places on offer. The village has some interesting features and the Forest is only a few miles away where days can be spent on its paths and trails soaking up the history of coal, stone, and iron mining. Plenty of evidence of wild boar but we did not see any. Monmouth is well worth a visit and for those who love steam engines there is a standard guage service from Lydney to Parkend most days of the week. Pleased that we found it on the Internet. Suburb location for the Forest of Dean and local attractions. Lots of useful information provided and help and advice handy if needed. Very handy for the local pub which had an excellent selection of beers and good food. The Ostrich pub serves good quality meals and is a beautuful old pub. The Miners Arms in Sling is also excellent for food. for any riders out therre Redbrook Equestrian is excellent with hacking in the forest and excellent tuition. Had a fab time over a long weekend in Newland staying at the Rookery Cottage. Conveniently located for the wedding we attended at Clearwell Castle, but also with nice walks/runs from the house, and in walking distance from a great pub with excellent food - what more could you want?! Perfect for a simple, comfortable, quiet stay in the Forest of Dean. Charming hostess and lovely village pub. Very rural setting,lovely peaceful location. The hot tap in kitchen would not stop dripping. the outside back light did not work. A guest soap would have been nice,as i had to buy some. New fan in bathroom much better. But otherwise a very nice place to stay,as we have now been twice. Bring own wine,no nearby shop. if you love walking,this is the place to stay. We walked miles,lots to see. The local pup seemed quite expensive. Lovely little annex. Very small and compact but had many extras that made the stay better - TV / DVD, ground coffee. Cracking pub 5 minutes walk - booking advisable. Great set of 'things-to-do' leaflets and books as well as the owner make filling time easy. Monmouth town is a cute little place to visit as well as there being a few spots to walk down past a river right next to some sheep and have a lovely few! As well as going to the butterfly zoo and in the aMazing hedge maze! Excellent little cottage. Ideal for use as a base to explore the local area. Julie couldn't have been more helpful! The local pub is 1 min walk away and is well worth it, and Clearwell is easy to walk to aswell. Even though the cottage is next to the owners home it doesn't feel like it, the owner came and introduced herself on our first day and then we didn't see her again. She wss veey friendly and helpful. There is a stream running alongside the cottage which makes its v peaceful. The cottage is very well equipped, watm and cosy. On our arrival we found a box of chocolates, tea, coffee, milk which the owner had left for us all which we thought was a lovely touch. The Rookery was perfect location for exploring the Forest of Dean, a short drive away to Cannop cycle centre and towns such as Monmouth. The local pub was very friendly and served v good food well worth a visit.